Chipa (A469091) is a beautiful 7-year-old cat with soft green eyes. She is gentle and eager to meet new people. 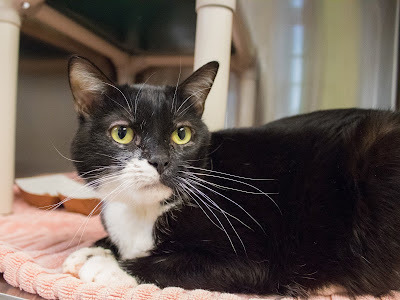 Chipa will let you know how she is feeling through her purring and appreciates human affection. She enjoys relaxing throughout the day and would be the purrfect pet to cuddle with. Come meet her at the Neely Cat Center at the Pasadena Humane Society & SPCA.